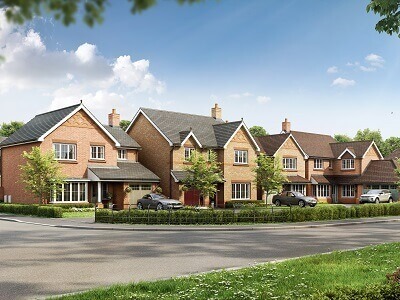 Set in an idyllic traditional village location, Heathfields is a development of 3, 4 and 5-bedroom homes now open in the Cheshire village of Audlem. All of our new houses for sale in Audlem are built to the impeccable design standards Anwyl Homes has become known for. 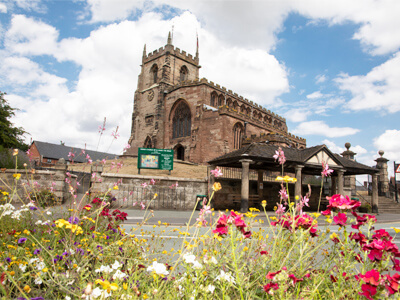 The charmingly rural village of Audlem blends a secluded traditional feel with a thriving community, perfectly situated on the popular Shropshire Union Canal. The Shropshire Union Canal provides unique family-friendly destinations to explore along with providing unbeatable landscapes. 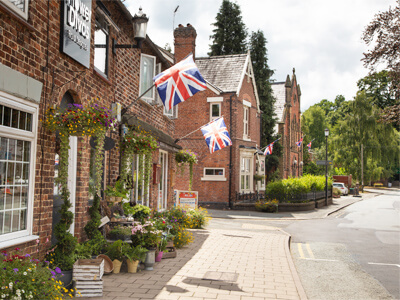 The streets of Audlem village are filled with traditional wooden shop-fronts and flower displays whilst maintaining its picturesque village magic. Audlem is located at the junction of the A525 and A529 roads in South Cheshire, just north of the Shropshire border. Situated 7 miles south of Nantwich and 8 miles east of Whitchurch, so our property for sale in Audlem is a perfect spot to commute around the North West and beyond. Please note: changes to plots 75, 76, 77. These plots are now 2 cardigans and 2 tenbys. The village is bustling with a wide range of shops, trades and local amenities. 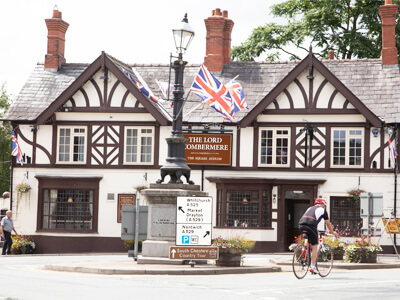 Both the Shroppie Fly and the Bridge Inn are the perfect spot to stop for a drink or a bite to eat and watch the world go by. 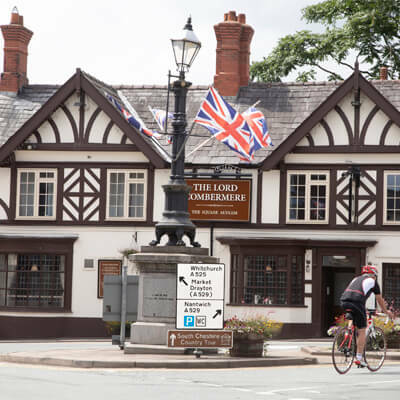 Other food establishments not far from our property for sale in Audlem include The Lord Combermere in the village centre, a fish and chip shop and various captivating cafes including the Old Priest House cafe, popular with the many cyclists that visit Audlem. 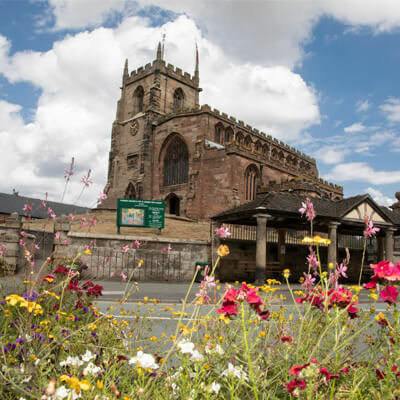 For anyone looking at property for sale in Audlem who maintains an interest in sporting activity, you’ll be pleased to know that Audlem has various sports clubs located in the village including tennis, badminton, football and cricket. The village hosts many events throughout the year including a Music & Arts festival in May, Party on the Park in July and a Beer festival late summer. The Big Switch on usually happens late November and is the one night that Audlem Trader shops offer late night shopping. The lights on the village’s 50 Christmas trees are illuminated and Santa arrives in town via the canal on the Audlem Lass. 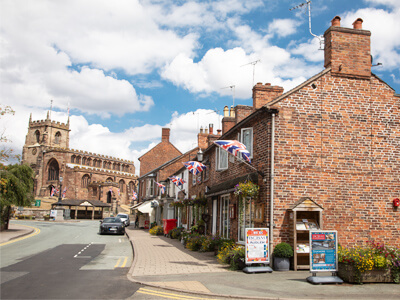 Nearby Nantwich, known for its beautiful timber framed house, makes a lovely day out and is home to a variety of shops, bars and restaurants. So, as you look across the options in our range of new houses for sale in Audlem, you can do so knowing you’d be moving to a place with plenty of lifestyle benefits for you and your family.